CONCERNS over health and safety and mounting debt have finally forced the closure of Our Lady of Perpetual Succour church in Deanby Gardens. The church, which is part of Scared Heart Parish, was closed with immediate effect after a full health and safety risk assessment was carried out. Due to “the condition of electrics, ingress of rainwater and the deteriorated condition of the church building” decisive action was required and the assessment recommended “with immediate effect the building cease being used”. Parishioners arrived for 11am Mass on Sunday only to find the doors shut – a one-off Mass was instead held in the adjoining Our Lady’s Girls’ Primary School. Sacred Heart Parish is currently indebted to the tune of £1,361,422 mainly to other parishes throughout the Diocese and with an estimated cost of £721,479 for repairs to the Deanby building, the decision was made to close the doors. The North Belfast News first revealed doubts over Deanby’s future in September. Fr Darach MacGiolla Cathain told the congregation on Sunday: “The safety and welfare of all parishioners is the highest of priorities for the Sacred Heart Parish and for the Diocese of Down and Connor. “A period of consultation is ongoing. In consultation with the Parish Finance Committee and the wider parish community, the parish will continue to assess the implications of the condition survey and will bring forward plans to explore the provision of Masses for the parish within the local parish pastoral community,” he added. 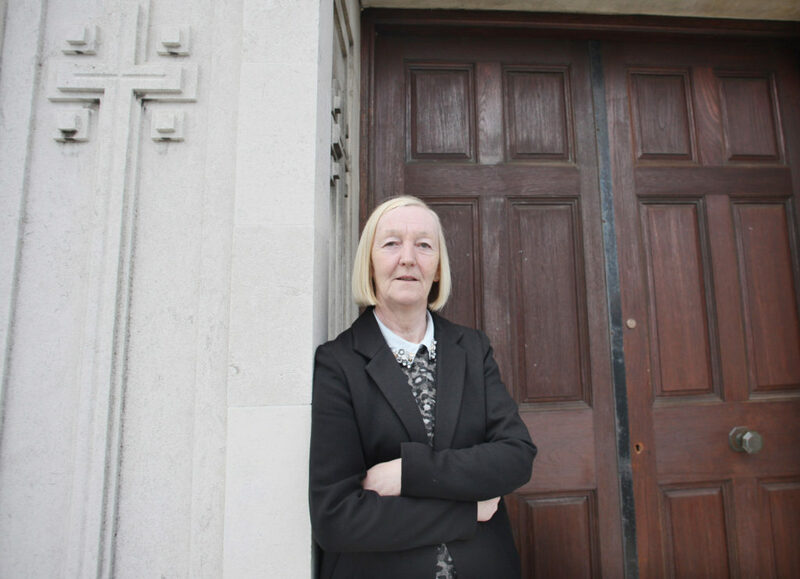 Local Sinn Féin Councillor Mary Clarke said there are now real worries that the last Mass has been said in the Deanby church. “This news comes as no shock to local people given the fact that the chapel was in an increasingly poor state of repair and that they were informed that the chapel’s future was in question,” she said. “It’s unfortunate that this chapel that is so close to the hearts of the people of the parish has been allowed to deteriorate to this poor state. “Huge concerns remain about the future of Deanby now and people have expressed their views that this is the end of Our Lady of Perpetual Succour chapel. The Deanby congregation will now attend Mass at Sacred Heart Church on the Oldpark Road where services are: Saturday evening 6pm (Vigil); Sunday Masses 9am, 11am and noon.